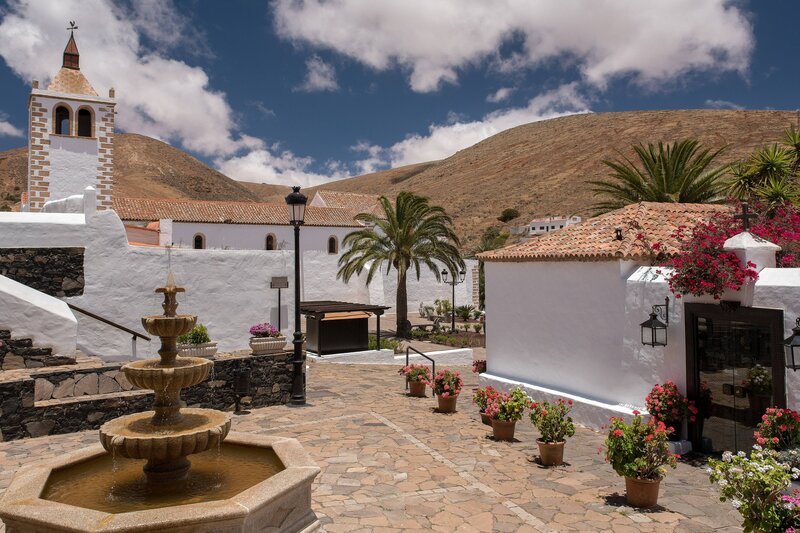 Ideally located in Caleta de Fuste, on the eastern coast of Fuerteventura, an island that is especially renowned for its idyllic beaches. 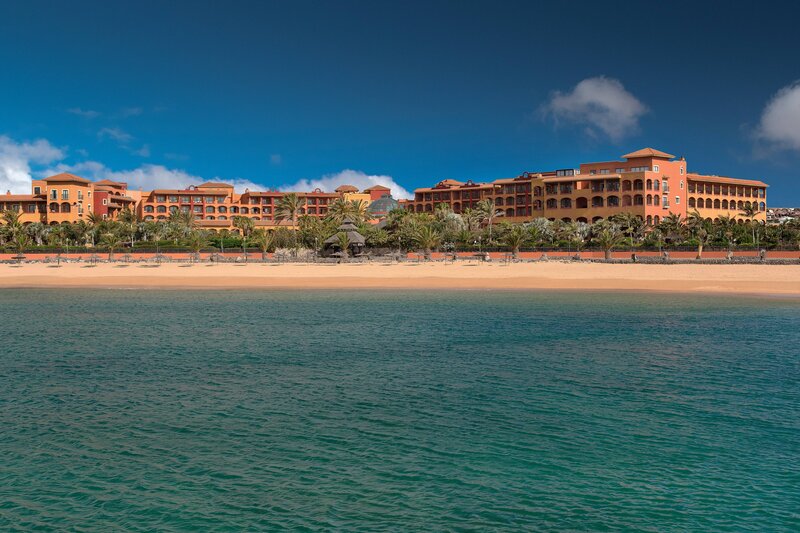 Sheraton Fuerteventura Beach, Golf & Spa Resort has 266 comfortable rooms and suites designed in elegant Canarian style with private terraces. 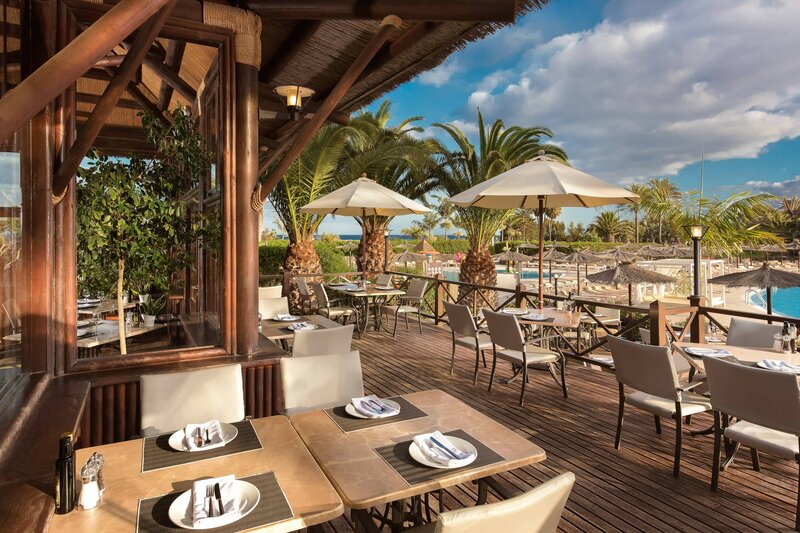 Its excellent restaurants offer delicious gastronomic experiences: International cuisine is served at "Los Arcos" Buffet, Mediterranean dishes at "La Veranda", Local cuisine and grill specialties at "El Faro" and Asian Cuisine at "Wok-N-Zen". Guests recharge in the 1,000 m2 wellness center, Hespérides Thalasso spa with a state-of-the-arts thermal circuit and 12 treatment cabins. Yambaland kid´s club offers hours of fun for children with plenty of creative activities. The rest of the leisure facilities include: 4 swimming pools, a fitness center, a tennis court, a mini golf and access to the golden sand beach. The selection of meeting rooms with natural sunlight are ideal for hosting any type of social events or meetings. 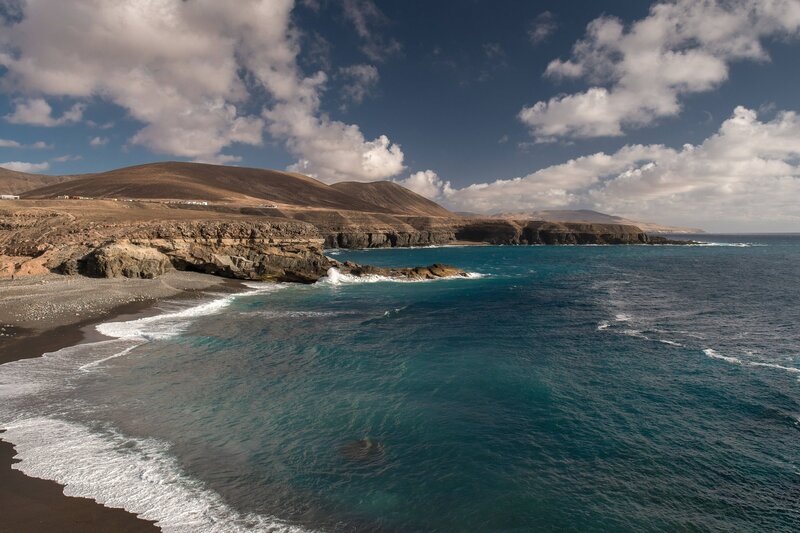 Located in Caleta de Fuste, a strategic area on the Eastern coast of Fuerteventura, which is close to the airport and ideal for discovering both the North and South parts of the island. The rugged volcanic landscapes, delicate white sand beaches and turquoise crystal waters create a singular contrast that captivates its visitors. The 266 spacious rooms and suites have been thoughtfully designed in elegant Canarian style to maximize comfort. They each feature a large private terrace with views to the beach or the resort’s lush gardens. Enrich your stay in the hotel&apos;s 4 tasty restaurants with refined local, Mediterranean or Asian cuisine, or relax with a refreshing cocktail in the Piano Lobby bar. 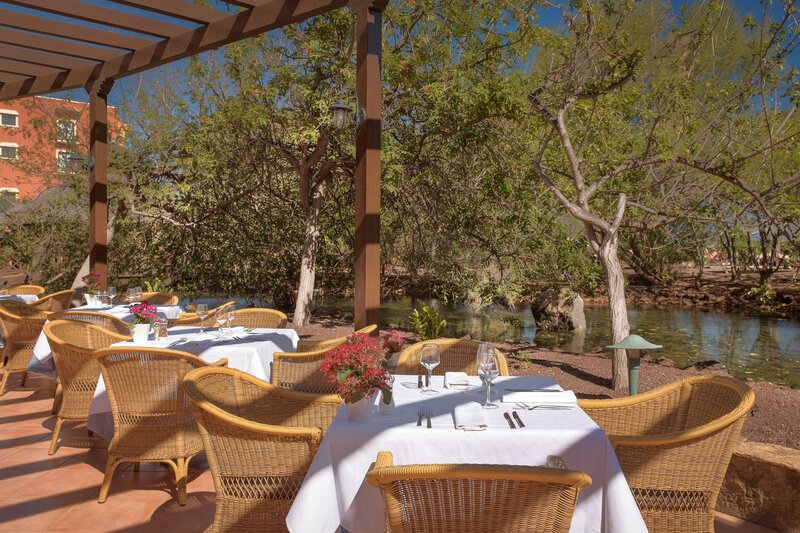 Overlooking the garden from a terrace, Los Arcos specializes in Spanish and international dishes at buffets throughout the day. Its wine cellar includes a selection of the finest wines. Immerse yourself in the Mediterranean way of life in La Veranda&apos;s relaxed and informal poolside setting next to the beach. Sheraton Fuerteventura Beach, Golf & Spa Resort offers a wide range of experiences to live the most memorable family moments.